When you’re not heading out on an epic but just going for a rip. 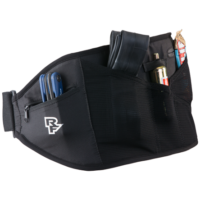 The Rip Strip is a lumbar belt with ample storage compartments for a day in the bike park or just a quick rip on your go-to trail. Your knight in shining armor and trail fairy all rolled into one. 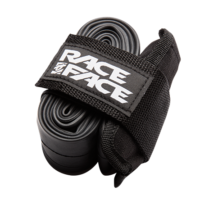 This little gadget allows you to keep a couple of emergency tools, a CO2 inflator and a spare tube conveniently tucked away on your bike in case of disasters. You can mount it in your frame or under your seat allowing maximum versatility and minimum fuss. With a huge velcro securing tab you know your precious tools will be held in place safe and sound till you need them.